@Fraz, thanks for starting the topic. I have one like the "So sweet, new car anyone', 2004 in Artic Silver which I purchased just over a year ago with <19,000 km for a fair bit less than the asking price here. Obtained from Carsales, add was only up for a couple of hours, that quick I don't think anybody noticed it. Great car, it is mint with all paperwork. They are out there, you just need patience. @thumperson you must have been driving slowly to get that much out of the tank, not like I have seen it fly on some drives. Will miss you up here in Brisvegas. @D2000 you can also clean the stickiness from the Becker knobs with Wax & Grease Remover, Prepsol, Prep Wash or similar. Had good success with my Becker. FYI, the Porsche Driving Experience is held at Mount Cotton Training Centre not Mount Cotton Hillclimb which is owned by MG Car Club. They are next to each other on Mount Cotton Road. 992 GT3 to be turbo charged.....surely not! Anyone got a 968 for sale and current values? Exactly the same as happened to my 968. Generally I the wiring is not interfered with it will be OK. The Auto Electrician said to me to be very careful with any wiring under the bonnet as the insulation will be very brittle. Had the cam chain hydraulic tension pads checked and the wiring on the hall effect sensor at the back of the head had to be replaced due to brittle insulation. Just be very patient. I was looking for the same car for about 12 months, ended is picking up 2004 996.2 TT manual with 18,870kms last September. One owner and Porsche Centre serviced all but once. Came with original order on Porsche and service receipts. When you see what you want, jump on it fast. The car I bought had about 70 enquiries in 24 hours from when the add appeared on car sales. Very good summation Jason E, we only see the asking price and in most instances do not know the actual selling price, if in fact it has been sold or just taken off the market. Porsche Club Qld are running 13 motorsport events next year. There are sprints are QR, Lakeside and Morgan Park. Autocross ate Lakeside Driver Training Track, Khanacross at Willowbank ( dragstrip precinct), Motorkhana at Willow Bank and Hill Climb at Mount Cotton. Some of these events are combined with Interclub Challenge. Your will need a CAMS licence for Morgan Park, Willow Bank and Mount Cotton and RACERS licence for Lakeside and QR. I understand Morgan Park may be accepting RACERS licence next year. 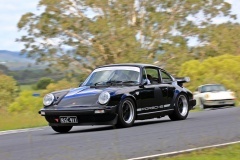 Porsche Club Qld is a CAMS affiliated club and you can obtain your licence with this. You will need a CAMS L2S licence. and RACERS Clubman licence, which you probably have already.